For a generation politicians have talked about how New Zealand must move away from our reliance on agriculture. ‘Sunset industry’ was a phrase that raised the hackles of rural folk. They needn’t have worried as such talk proved to be nonsense. Hawke’s Bay’s soils, usually abundant water and benign climate still mean it’s one of the best places on earth to produce food. But everyone does seem to agree that it would be good to ‘add value’ to the raw materials, or to develop new adjunct industries. So where are these opportunities for the Hawke’s Bay economy? If you look at other industries you can see how they have evolved and developed downstream innovations. Take the Nelson hop industry. In the 1970s it was in a sickly state, supplying the two big breweries and exporting hops as an oversupplied commodity. Now the Nelson region produces some wonderfully unique hop varieties and sports at least 12 craft breweries. They even have a craft beer festival called Marchfest. While this doesn’t quite yet have the ring of Oktoberfest, they’re working on it. Nelson is truly the craft brewing capital of New Zealand. Given Hawke’s Bay is the king of New Zealand’s apple industry, producing over 60% of the national crop, you’d expect we’d be the centre of cider production in NZ, right? Well, we’re not. Rubbing our parochial noses in it is Redwood Cellars in Nelson, producers of the Old Mout cider brand. These guys now produce more than 10 million litres of cider per annum. They are ubiquitous on Australian cider shelves and can also be seen in Asda and Tesco in the UK. At say, $10 per litre, they have a $100 million operation, while Hawke’s Bay in its entirety would be lucky to crack $5 million for cider. We haven’t seized the opportunity and there is little sign we’re going to. Cider is the fastest growing drinks category in the western world. In the USA, Australia and NZ it has been growing at more than 30% a year for several years. Perhaps the great potential for cider lies in the yet untapped Asian market. Many countries like China, Japan and Korea are apple producers and have a longstanding reverence for apples. While they seem keen to join the West in sipping fine red wine, it’s actually poorly suited to their palates. They don’t actually like acid or tannin and you can still see patrons in high-end Chinese restaurants adding a decent splash of Coke to their cru bourgeois, to take the edge off it. Surely they’d prefer a glass of cider. Why is Hawke’s Bay so horribly off the pace on the cider front? Actually, there are a couple of good reasons. Embarrassingly, most cider in NZ is made from apple juice concentrate. You can source this anywhere so there’s no need to be located in an apple producing region. It’s equivalent to buying some Tetra Pak grape juice in your local supermarket, fermenting it and calling it wine. Well it would be wine, but possibly the worst wine you’ve ever tried. Cider from concentrate isn’t great either – mostly boring, denatured supermarket fare. Around the world it’s often ‘chaptalized’ (i.e. fortified with sugar), fermented to quite high alcohol levels and then watered down to the desired strength. Commercial cider makers also compensate for mediocrity with lots of bubbles, plenty of sugar and a splash of Ribena-like flavouring. Such measures produce a cheery, refreshing drop on a hot summer’s day and demand is skewed towards young girls and your mother-in-law. While there are many who share this opinion, Diane Flynt from Foggy Ridge in Virginia USA, isn’t one of them. “It’s easy to be critical” she says. “I like to think of these drinks as gateway ciders. People’s palates mature and one day they’ll be looking for something more challenging.” That seems a reasonable theory. Twenty-five years ago many wine drinkers were swilling McWilliams Muller Thurgau, Marque Vue and 3L casks of Country Medium. We’ve gotten all fancy pants since then. The best cider comes from proper cider apples that have glorious names such as Broxwood Foxwhelp, Knotted Kernel and Chisel Jersey. The juice from this fruit is bitter, tannic, and produces darker juice than dessert apples. It can produce ciders of much greater depth and complexity. These styles are commonly produced in Herefordshire and Somerset in the UK; and Brittany and Normandy in France. Here old cider orchards abound and superb fruit can be sourced quite easily. The cider tradition is similar to that of wine. In a bygone age, when the water was dickey, the safest forms of liquid refreshment were fermented fruit juices. Cider flourished in regions where it was too wet or cold to produce grapes. There are records dating back to Roman times, when upon invading England, they were relieved to find there was something to drink. Of recent times, craft cider makers are also springing up across USA where cider was once enthusiastically quaffed by their founding fathers. Prohibition all but destroyed the cider industry. You could produce some moonshine on the sly, but a cider orchard was hard to hide. The growth in cider demand has also led to greater investment in R&D. 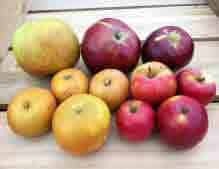 Of great interest to medical researchers are the high levels of polyphenols found in cider apples. New selections are being screened for such attributes at the preeminent cider breeding programme in Angers, France. These cider apples don’t just have 10 or 20% more polyphenols than regular apples, but often 10 times the quantity. Of particular interest are the procyanidins, which have demonstrated significant anti-cancer effects. Reviews of academic studies have shown apple polyphenols to also have beneficial effects on cardiovascular disease, Alzheimer’s, diabetes, asthma, osteoporosis, weight management, cholesterol levels, gastrointestinal health and many other components of human health. At least one study also indicated that the bioavailability of some apple polyphenols was increased when taken with alcohol. I’m not making this up. We’re on the precipice of an age when grumpy wives may call their husbands, insisting that they don’t come directly home from work, but stop by the pub for a couple of health-giving glasses of cider. Hawke’s Bay has the climate and expertise to produce exceptional apples, and also the winemaking expertise to produce great cider. Over recent years the reduction in Sauvignon Blanc and Chardonnay in the region have also freed up some white wine making capacity at our wineries. 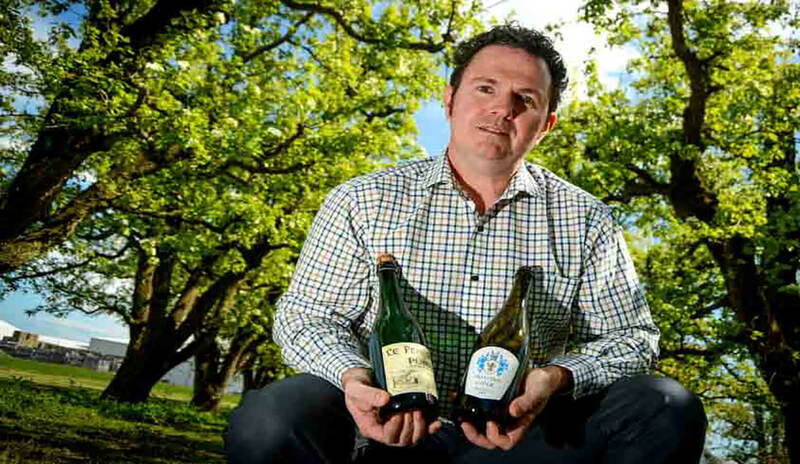 Most winemakers are sceptical about the cider, seeing it as a ‘lesser drink’. That may be so, but I suspect that, like you, they are yet to taste one of the great ciders of the world. Perhaps we have missed the boat on becoming a great cider producing region. Or is the potential for the development and production of cider in Hawke’s Bay only in its infancy?